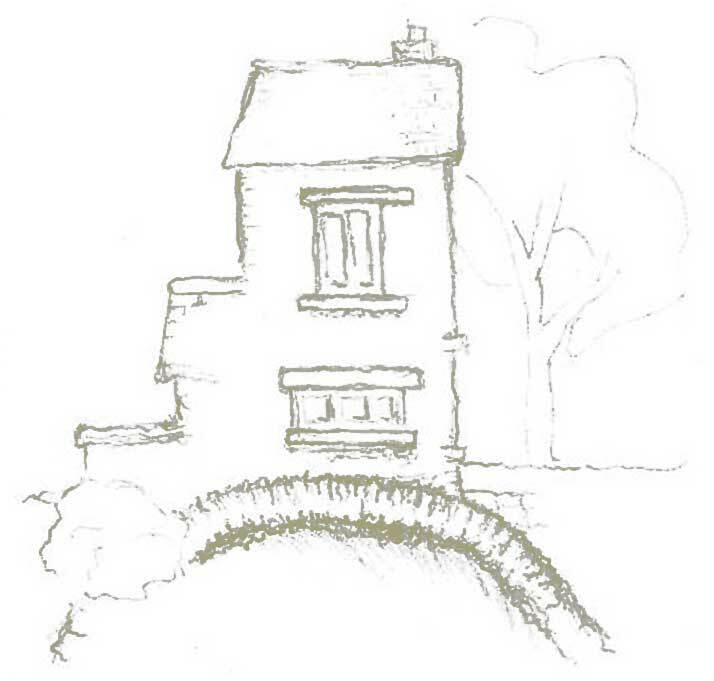 There are walks starting from the cottage to suit all levels of fitness. The Fairfield Horseshoe is the most ambitious, but Wansfell and the Loughrigg circuit are very rewarding and less strenuous. 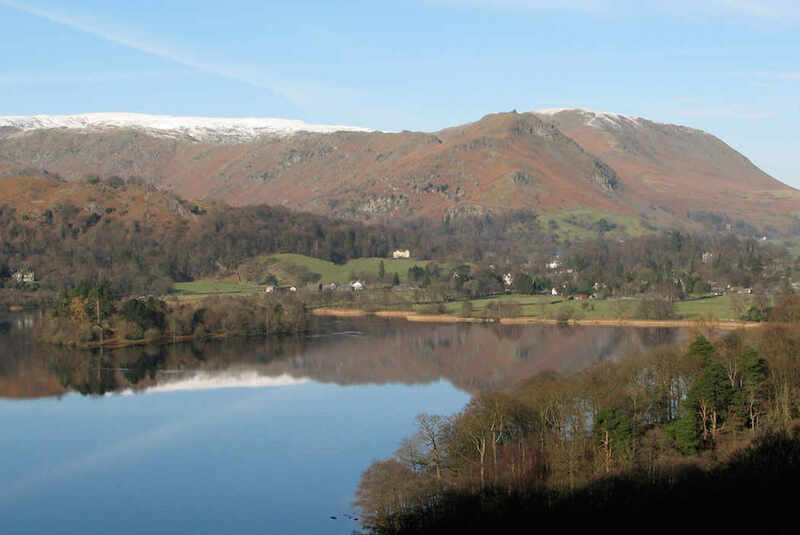 The Rothay and Brathay both offer pretty riverside walks and the head of the lake can be reached in 10 – 15 minutes. Jenkins Crag, a well-known local viewpoint is only 30 minutes away while the Stockghyll Force may be reached in 10 minutes from the back garden gate. We sometimes forgo the force and continue up the road to a lovely panorama of the fells and a convenient bench. Scafell Pike - the highest mountain in England, it overlooks Wastwater the deepest lake in England. The walk is often started from Wastdale Head, 1 hr 30 mins by car. Hellvelyn - the famous Striding Edge strikes off from the summit of this mountain. Not for the faint hearted or inexperienced! 20 - 30 mins to Wythburn or Thirlspot car parks. High Street - site of a Roman road and an old racecourse. It can be approached via the Kirkstone pass or from Ullswater. 15 mins to car park at Kirkstone. The Old Man of Coniston - Arthur Ransome followers will know this mountain as Kanchenjunga. The parking area on the Walna Scar road is reached up a steep hill, thus gaining height for walkers before they have left their cars. 30 - 35 mins to Coniston and up to Walna Scar. Fleetwith Pike. A convenient car park on the Honister Pass at 332mtrs gives walkers a head start on this fell. 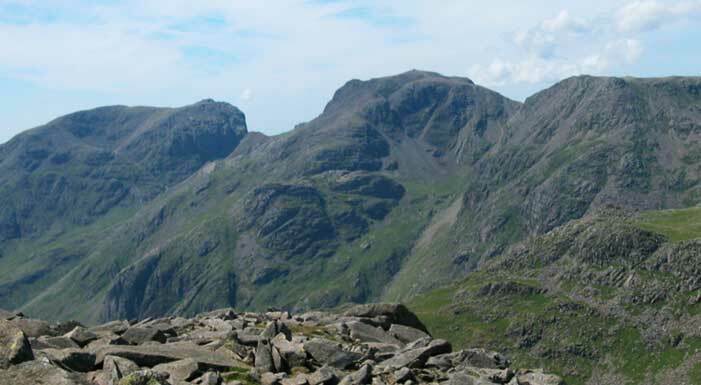 In addition to Fleetwith both Great Gable and Haystacks are accessible from here. 1hr 15mins to Honister Hause car park. 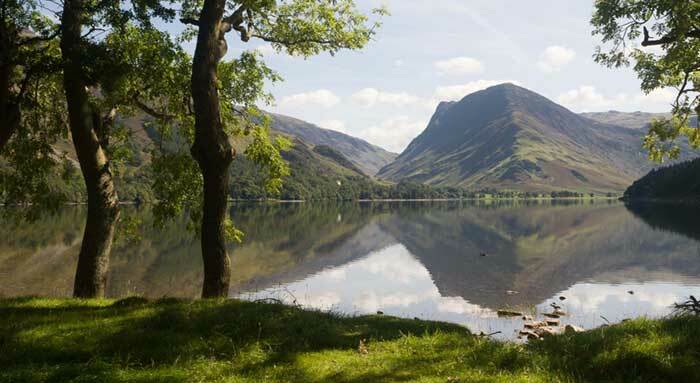 The Lake District offers a wide variety of outdoor pursuits from gentle lakeside walks to challenging mountain climbs in every season of the year and in almost every weather. Ambleside is a very convenient centre from which to travel around the Lake District. There is information provided in the cottage so that guests will be able to plan activities according to the time of year and the weather. For those who cannot walk very high or far there is still a great variety of magnificent countryside to enjoy.